I just wanted to say a huge THANK YOU to you, Rick and your Mum for all you did to make my party such a success last night. What a wonderful evening! Everything you prepared for us, savoury and sweet, was absolutely delicious (we’re all enjoying the left-overs today!) and you all worked so hard and so efficiently to have everything beautifully laid out at just the right moment ….. so difficult when guests arrive at completely different times. Also, many thanks for doing so much clearing up, which I never expected! Again, many thanks; you made it possible for me to relax and enjoy my own special party. "Thank you Naomi at Simply Scrumptious for catering such an excellent breakfast. The food was plentiful and delicious and the crepes were a real winner. Naomi was fantastic throughout the whole experience. Very helpful and accommodating of any requests. It was a pleasure to work with Naomi and I would recommend her to anyone." "Great service, absolutely delicious food loved by everyone at the event !!! Completely recommend. Thank you for your hard work as it was short notice." "They took care of everything, from planning the garden party to baking the beautiful (and scrumptious!!) birthday cake! Simply scrumptious were amazing. The food was delicious and the team well organized and professional." 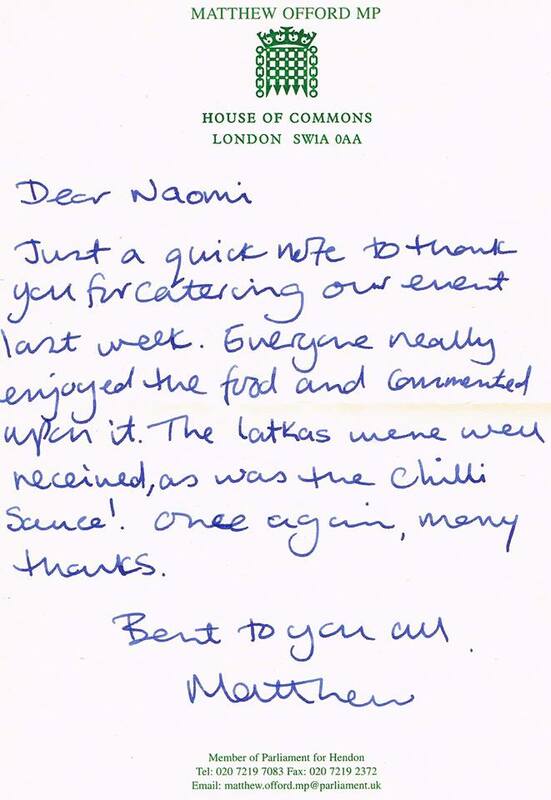 "Naomi was amazing catering both our functions. She had great ideas, was easy to get hold of and it was a pleasure working with her. Everyone commented on the food and I would definitely use her again!"